We prepare special menus for groups. 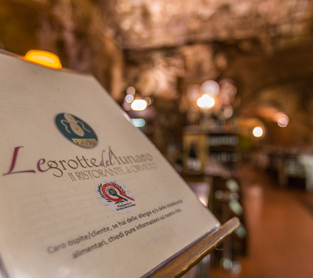 Le Grotte del Funaro is a large restaurant that consists of 3 large rooms, with a total capacity of about 130 people. Our menus are always prepared with the utmost care, and we always choose top-quality products. For more information contact us by e-mail at info@grottedelfunaro.it or use our online form.